I last reviewed the Turkish Airlines Istanbul CIP lounge in 2011 and called it the best business class lounge in the world. Since then, it has doubled in size…and is still the best business class lounge in the world. Spanning two full floors and featuring many amenities found in the world’s best first class lounges, the Turkish Airlines International CIP Lounge in Istanbul is worth an extended transit in IST. 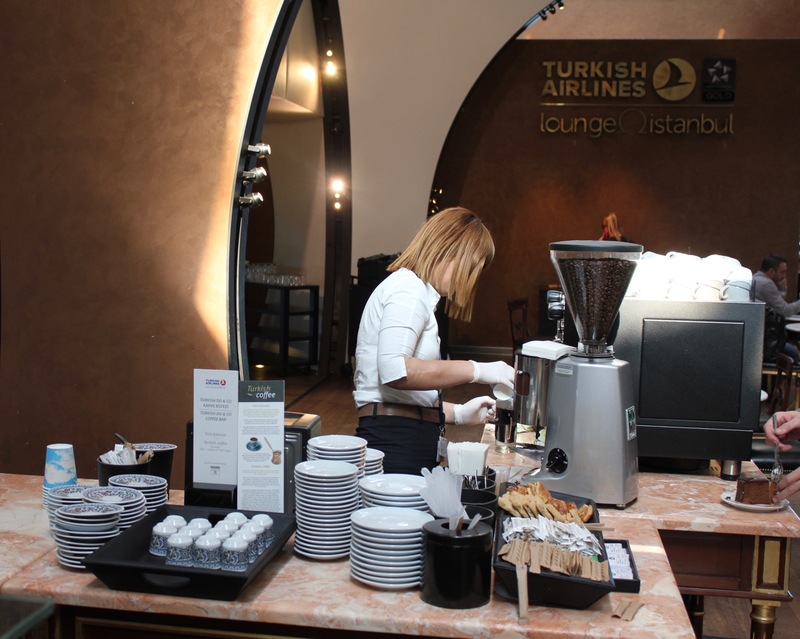 Who Can Enter the Turkish Airlines Lounge? Lounge entry is granted for all Star Alliance Gold members, Star Alliance business class passengers, and Turkish Airlines’ Elite and Elite Plus members. 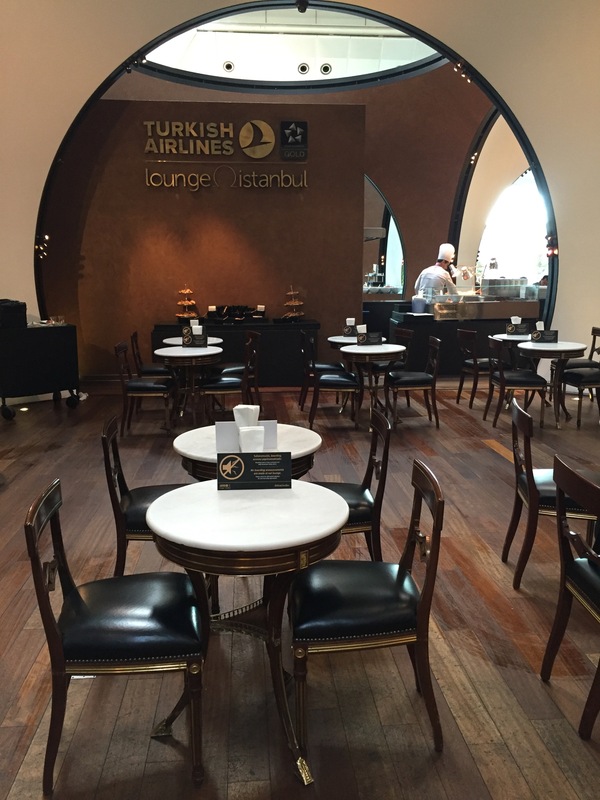 Turkish Classic Plus (Star Silver) members have access to domestic CIP lounges, but not this international CIP lounge. Additionally, if you have a United Club membership and are traveling on any Star Alliance flight out of Istanbul, you will be granted access. As you enter the lounge, you are directed left to scan your boarding pass. Electronic gates control entry and traffic is brisk — this is a very popular, very busy lounge at almost all times of day. Open 24/7 to support TK’s round-the-clock operations, there is rarely a lull of traffic. Straight inside the lounge is are two bookcases filled with books — a library for your use while visiting the lounge. In the center of a library sits a pool table, which you are free to use. Just off to your right is a baggage storage area. Password controlled, no keys are needed and your luggage is safe. Beyond the baggage storage area is a movie theatre, playing movies (often musical concerts) around the clock. A popcorn machine sits outside and the chairs are very plush with decent recline. Hint: if the sleeping rooms are full or your are not eligible for one, use the movie theater instead. Past the movie theatre is a vast seating area with couches, tables, and chairs. In the corner sits a children’s play area and a video game area. In the center of the lounge is food. A lot of delicious food. Breakfast includes omelets made to order, wonderful Turkish and Continental items like bircher muesli, fresh yogurt, and pastries, and even real honeycomb. Scrambled and fried eggs are also available and quickly replenished when depleted. Truly, skip your hotel breakfast — this is better. Lunch and dinner are even better. Grilled meats, paninis, wonderful salads, homemade pastas…and best of all, Pide. Pide is a delicious flatbread with various toppings, like a Turkish pizza. There is even a mixed nut bar! A barista is available for most of the day to make coffee drinks of your choice and the dessert trays are mesmerizing. Also don’t forget to try the many fresh juices available. The lounge is not dry. Throughout the lounge are alcohol stations with self-serve liquor. Separate stations have water and soft drinks. As you walk through the lounge you come to seating area after seating area. A grand piano sits, waiting for you to play it. Throughout the lounge are additional food and drink stations. A few years ago the lounge started to get very crowded so Turkish doubled the size of it. Adding a massive downstairs, there are now more eating areas, more drinking areas, more sitting areas, more kids areas, and even a second grand piano. The stairs leading downstairs are ensconced in a cool Turkish globe. What does it say about a lounge when I deliberatly book long layovers in Istanbul just to spend more time there? Over and over. This lounge is truly one of my favorite in the world and if you have not experienced it, you must. I have to twist clients’ arms so often to book on Turkish and every single time — literally every single time — they come back after traveling thanking me and inevitably commenting on how great the lounge in Istanbul is. Agree, this is hands-down the best airline lounge at any airport if you want to enjoy an unrivalled experience of global crossroads travel. If you want serenity, then it’s the pier CX F lounge at HKG; for sheer luxuriousness I suppose the three Gulf airlines’ F lounges and to a lesser degree the more utilitarian QR Al Mourjan lounge. But none are as much fun as this TK “Disneyworld”. It’s a truly unique global experience where I love watching the variety of people and dress that pass past my encampment. Not to mention the delectable range of foods on offer…not gourmet, hyped up celebrity chef menus, but simple local/regional cuisines for grazing during the (always all-t0-short) stay. And while not one of the world’s more renowned wine producing areas, there are usually several varieties of Turkish wines for sampling. All-in-all a great transit experience made better by the expansion. You can also access the lounge with a United Club membership card and same day Star Alliance international ticket. I did it last year flying economy on Air Canada. Thanks — I’ve added that. Have you tried Qatar Airways Business and First Class lounge in Doha? I have! Both of them. They are amazing. Is it possible to get into this lounge with a one-time United Club pass, assuming you have same-day travel out of IST on Turkish? It is impossible. United lounge passes are only valid at United lounges. there must be a big difference in ordinary butter and country butter in Turkey, I recall some of my workmates in Ankara would go out of their way to buy it. Pelase do check on that and let me know. That is how I read the sign but I should have included a picture of the sign. Looks great. Maybe next time I go to India, I’ll route via TK to check out the lounge. BTW, next time you’re in Dallas, head downtown to Cafe Izmir. Best pide this side of, um, Izmir. Hello Matthew – thank you for the amazing review. I am Star Alliance Gold (through SQ), and was wondering if I can bring a guest with me when transiting in a few months? (He is not *A Gold), and both of will be traveling Economy. Thanks for your time! Thanks, I was trying to figure out what the big deal was for this lounge. The description of “Disneyworld” helps me understand…although to be honest, it’s the sleeping rooms that are the selling point for me! This is Ishan from Mumbai, India. A whatsapp message has been doing the rounds over here that on the 17 th of August a passenger, Mr. Mirja baig, was denied access to the business class lounge at Istanbul for a 8 hour layover because his flight originated from mumbai and his destination was nigeria. When he asked the reason, he was shown a list of countries whose passengers are to be accepted there and neither India nor Nigeria figured on the list. The ones on the list were all white majority countries. There wasnt any mention of the criteria you have talked of over here. So, is this true? Cause i am going to forward the audio clip to a lot of ppl and before i do that, just thought i would cloud-verify it. Anyone out there have a similar experience? This does not sound right at all. Keep me updated please. I also got the same message. I would like to know if the Turkish airline has such a policy or this India passenger is promoting fake news. Do you know if the lounge has sleeping accommodations for a couple? Yes, one or two of the sleeping rooms do have room for two. Just note these are allocated on a first-come, first-serve basis to eligible passengers and are difficult to secure. Is this lounge restricted only to international passengers or can Business Class passengers on Turkish with domestic destinations access the lounge? International only. Domestic flights depart out of a different terminal. This lounge is beyond passport control. Thanks! Is it just restricted because of its location behind passport control or is a Business Class boarding pass with a domestic destination not considered valid credentials for entry? In my case I will be arriving to the international terminal of IST on another carrier, then transferring over to the domestic terminal for a flight on Turkish, so if my domestic Business Class boarding pass would grant me access, I could use the lounge since I will be behind passport control when I arrive. That will depend on where you are arriving from. If arriving from Continental Europe or the USA, you won’t have to go through security again (you’ll be dropped off in the terminal). If you’re arriving from a place deemed less safe, you’ll have to go through security again before going back upstairs and you may be denied access. But maybe not. If you do get back upstairs, you’ll have to go back downstairs, through passport control, then to domestic connections in order to reach your connecting gate. I’ll be arriving from Greece, so it sounds like I would be OK in terms of not having to go through security again and would have physical access to the upstairs. Presuming I can physically get to the lounge (which it sounds like I can), would I be allowed entry into the lounge using a same-day domestic-destination Turkish Business Class boarding pass as my credential? Thanks again! Yes, it is my understanding you would be. Please report back if the answer turns out to be different. My wife and 2-year old daughter traveling next week by Turkish airline economy class from los Angeles to Iran and have 3 and 7 hours transit in Istanbul airport, is that possible they can use lounge, i also like to pay if we need to pay but i can’t find any link to do reservation or pay in advance. Do you know how we can use and pay for the lounge? Hi Ali, unfortunately there is no paid access to the Turkish Airlines CIP Lounge. All three lounges offered paid access. We’ll be there in June and I can’t wait to see it from everything I’ve seen thus far. My only regret is that we only have one hour before our next flight out. Do you know if TA has the bridge leading from the lounge straight to their departing gates? No. The airport is huge. You’ll have a decent walk if connecting onwards internationally. An even longer walk if going to domestic terminal for domestic flights. If I fly economy on Turkish airline, can I pay an extra fee to use this lounge? The rules on sleeping rooms seem a bit convoluted, so here goes: We fly Turkish business class from Toronto to Istanbul and have a five hour layover before we fly Turkish business class to Nairobi. Do we qualify for a sleeping room? Thanks for the article 🙂 I think I’m almost as excited for our business class flight and the lounge visit as I am for our birdwatching safari! Yes, you will have access on a space-available basis. Wonderful review. Great points 🙂 Thanks. Where is the lounge located. We flew international businesses class on Turkish airlines and couldn’t locate it. Far end (west end I believe) of the terminal. Just follow signs for Turkish CIP Lounge. All well and good to have a lounge fit for the modern age, but what a shame the airline and its service do not match that. I have had the misfortune to fly TK twice in the last six months and miss the connecting flight due to long delays on the incoming flight, even though there was a decent chance I could have caught it on one occasion if only TK had even the most basic of service to meet delayed incoming passengers. There was absolutely no help, not even the most obvious of informing us of the gate number for our connecting flight. As for the service in rebooking, it is quite simply appalling: no queue management, surly staff who are not well informed about options, and if you are unlucky enough to need a hotel, a really third rate place without internet in the room and where the kitchen closed before we were checked in (22:30) so we could not even get food after 3 hours of waiting. I could go on, but suffice to say I utterly fail to understand why TK is ever voted any sort of favourite airline. Hi, I have a question regarding using the CIP Lounge: I have a business class ticket all the way to Europe. I arrive in Istanbul in the afternoon and my connecting flight is the the next morning. Is it possible that I use the lounge on the afternoon of the arrival and then avail of a hotel room later in the evening? Yes it is, no problem. Maybe even see if you can get a sleeping room in lounge (unlikely, though). Pingback: schlafen in TK - Gold lounge IST? wer hast's gemacht?